Are you tired of eating the same kind of breakfast every day? 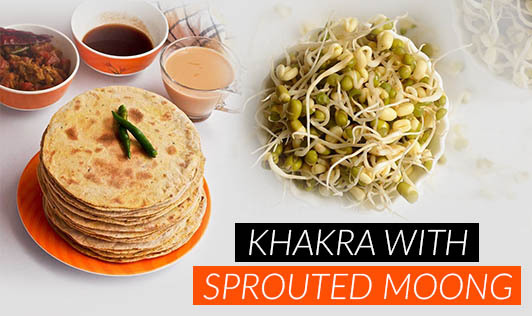 Then, try out this simple, tasty, crunchy, filling and healthy recipe combination of khakra and green gram (moong) sprouts. 1. Combine all the ingredients in a deep bowl. Toss well. 2. Serve immediately to prevent it from getting mushy and soggy.